Elbridge Gerry Spaulding (1809-1897) was a U.S. Representative for New York, serving from 1849-1851 and 1861-1863. 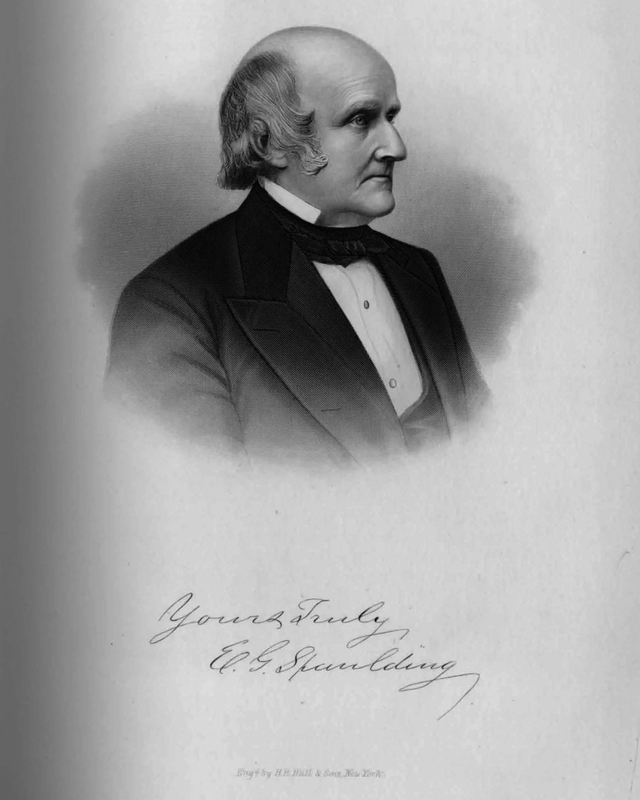 Spaulding was also the Mayor of Buffalo from 1847-1848 and served as New York State Treasurer from 1854-1855. H.B. Hall & Sons, “E.G. Spaulding,” Digital Collections - University at Buffalo Libraries, accessed April 19, 2019, https://digital.lib.buffalo.edu/items/show/80907.